A few months ago I started to think about the possibility of creating a requireJS TypeScript fork in order to add dependency inversion (DI) support. The class FooBar expects two parameters to be passed as arguments to its constructor. The types of these two arguments are the interfaces FooInterface and BarInteface. So FooBar has a dependency on two abstractions (interfaces) and not concretions (classes) as the D (the Dependency Inversion principle) in the SOLID principles recommends. The names of the arguments are relevant here. They need to match the interfaces names because the names are used by the IoC container to identify and inject the dependencies of a class. Note: In the next release I will add a change so the name of the arguments are no longer relevant and minifiers will be able to rename the function parameters and InversifyJS will still be able to inject the right services. We can then create an instance of the InversifyJS kernel. Once we have a kernel instance ready we can define some type bindings. We can set a binding by using the kernel bind method. A type binding (or just a binding) is a mapping between a service type (an interface), and an implementation type (a class) to be used to satisfy such a service requirement. If we attempt to bind an interface to a class that is not an implementation of that interfaces we will get a compilation error. When we define a type binding we can optionally define the desired scope. The default scope is transient but InversifyJS also supports singleton scope. I decided to not implement transaction scope support but I will implement a much more powerful feature: contextual binding. Note: the API above is undergoing analysis and it might change during the implementation process. You can follow the implementation progress here. You may have noticed that the class FooBar is implementing the FooBarInterface interface. The FooBarInterface interface is used when we indicate to the IoC container that we want to resolve a dependency on it. We can resolve a dependency by using the kernel resolve method. The kernel will then create an instance of FooBar (as we indicated in the type binding). Because the FooBar constructor has two dependencies (the interfaces FooInterface and BarInteface) the kernel will resolve them as well and inject them into the FooBar class via its constructor. Our application dependency tree should have one unique root element, known as the application composition root, which is the only place where we should invoke the resolve method. Invoking resolve every time we need to inject something, as if it was a Service Locator, is an anti-pattern. If we are working with an MVC framework the composition root should be located in the application class, somewhere along the routing logic or in a controller factory class. For example, in the official marionette integration example, the composition root is the main.ts. This is the only place in the entire application where the resolve method id invoked. 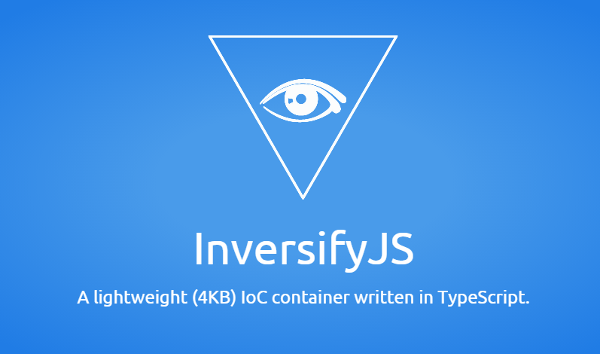 With InversifyJS we can centralize all the type bindings in one single configuration file. For example, in the official marionette integration example, the Kernel configuration is centralized in the inversify.config.ts file. Please refer to the integration examples if you need additional help. If you want learn more about InversifyJS (or contribute) please visit www.inversify.io.